FOXBORO – Award-winning singer-songwriter Sara Thomsen will be performing a benefit concert Saturday, March 5 at 7 p.m., at the Foxborough Universalist Church, 6 Bird Street, Foxborough, MA. Sara Thomsen is a singer-songwriter with a soulful voice, poetic lyrics, and haunting melodies. 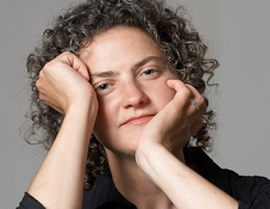 Thomsenâ€™s home base is in the Lake Superior region of Duluth/Superior, where she has been dubbed in the local press as â€œone of Northern Minnesotaâ€™s best kept secrets.â€ She is the founder and artistic director of the non-audition Echoes of Peace Choir and the vocal trio, Three Altos. Her music comes from the heart, and that’s where it takes you. With a voice richer than the best mid-west soil, her songs carry you inward and outwardâ€”in, to the particulars of your own life, and out into the shared humanity of us all. Her performance style is easygoing and full of humor and depth, capturing the audienceâ€™s full engagement. Thomsenâ€™s music gently enfolds and unfolds the listener. Highlights include â€œA Womanâ€™s Place,â€ a song commissioned for Womenâ€™s History Month, and â€œI Remember These,â€ a poignant collection of childhood memories and tribute to Thomsenâ€™s grandmother. Songs on earlier releases have won numerous accolades and awards, including winner of the Minnesota Folk Festivalâ€™s New Folk Songwriting Contest for â€œIrene Margueriteâ€ and â€œKeepinâ€™ the Peaceâ€ off her By Breath CD. â€œIs It For Freedom,â€ off Fertile Ground, won a Top Finalist award in the Public Domain Foundationâ€™s national Music To Life Contest, created by Noel Paul Stookey (of â€œPeter, Paul and Maryâ€) to recognize songs of sociopolitical concern. Thomsenâ€™s concert kicks off a special weekend at the Foxborough Universalist Church as it celebrates the ordination of its minister, Katie Lawson on Sunday, March 6. 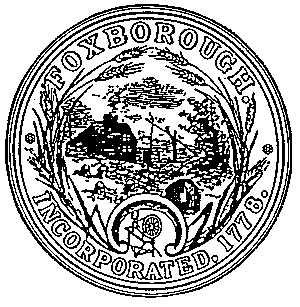 Proceeds from the concert benefit the Foxborough Universalist Church. Tickets for this Coffeehouse on the Common are $15 for adults, $10 for seniors and students, and free for those under 6 with an adult. Tickets can be purchased in advance at www.brownpapertickets.com (Type Sara Thomsen in the search bar) or at Cindiâ€™s Diamond & Jewelry Gallery, 40 Central St., Foxborough, MA (508 543-4943). Tickets will also be available at the door. 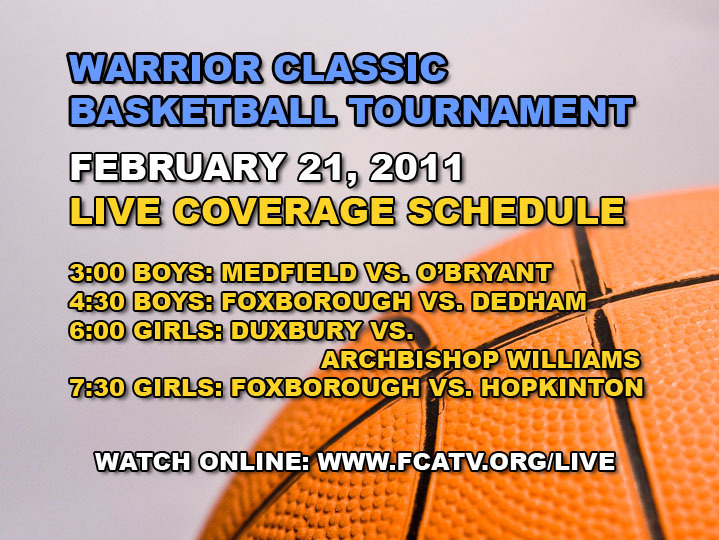 This special Cable 8 Sports coverage is made possible through the efforts of Foxboro Cable Access volunteers. Â FCA would also like to thank Athletic Director, Craig Najarian for his support.